2.099,00 EUR 19 % VAT incl. 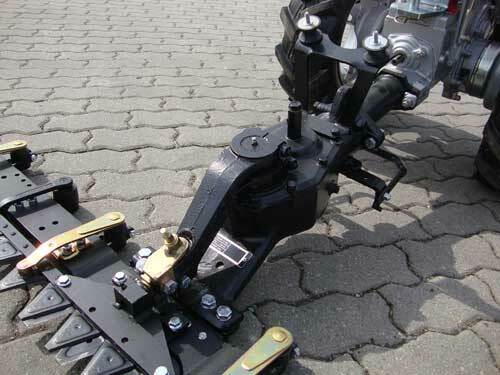 As an additional mower drive an ESM Double-knife Cutter Bar with 137cm Swing Arm Guide bar is available as an accessory for our KM8/MAK17S two wheel tractor. 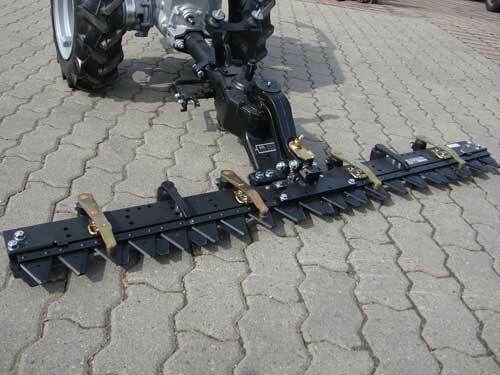 The advantage of the double blade system is a almost vibration-free work with this attachment, i.e. on the handlebar occur very little vibration. The cut and the cut quality are best with the twin blade system. If ESM produces a double-blade mower deck for the company Yabe - it speaks of quality.